Super exciting news! 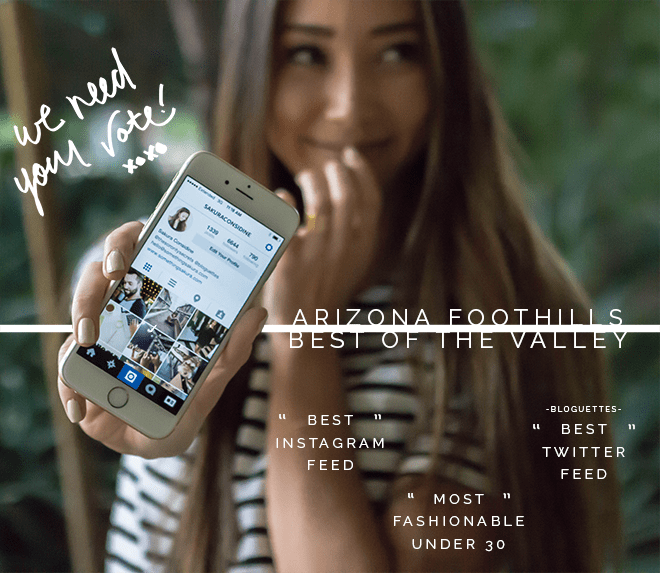 Not quite sure how, but I was nominated for “Best Instagram Feed” & “Most Fashionable Under 30” for Arizona Foothills Magazine’s “Best of the Valley” and Bloguettes was nominated for “Best Twitter Feed”! We’re all super excited, but we need your help to win!